An inspiring & enlightening TRUE story that will change the way you think about your life. Would you like to know why you are here? Who you really are? What happens when you die? Would you like the ability to send and receive direct messages to your loved ones on the other side? This is why you have been connected with this book, here and now. Denise Lescano is a world renowned Professional Spirit Medium, Intuitive Consultant, Metaphysical Teacher and Author. She is well known and widely respected, for her groundbreaking and unprecedented work with non-profit Grief Support and Addiction Recovery groups. She specializes in working with those who have lost loved ones by sudden or accidental death and suicide. Denise is recognized and sought after for her highly developed intuitive gifts and her ability to deliver very detailed, personal and evidential messages from loved ones on the spirit side of life. Her penetrating insight and abilities are like no other. 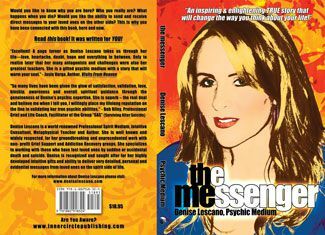 The Messenger by Denise Lescano – Excellent! A page turner as Denise Lescano takes us through her life—love, heartache, doubt, hope and everything in between. Only to realize later that her many antagonists and challenges were also her greatest teachers. 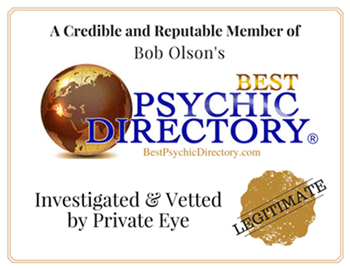 She is a gifted psychic medium with a story that will warm your soul. I wanted to back up the story you have all read here today. This story was about my mother and I. The man killed in the accident was Eric Hayes. I was truly shocked with events of the evening. Denise was right in saying that I was a skeptic about the whole thing and wanted to make sure my mother was ok. I did however leave there with a new found calmness in my heart and I think the evenings events erased years of potential therapy. I just wanted to thank you Denise! What you do really helps people in their time of need and I am honored that my story stuck out in your memory. I hope this story will give a breath of hope to others in their time of need! 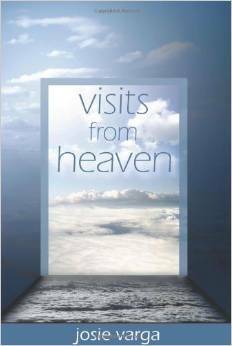 Denise and Her work have been featured in the book Visits from Heaven by Josie Varga along with other respected professionals: Gary Schwartz, PhD; Suzane Northrop; Raymond Moody, MD, PhD; John Edward and George Anderson.